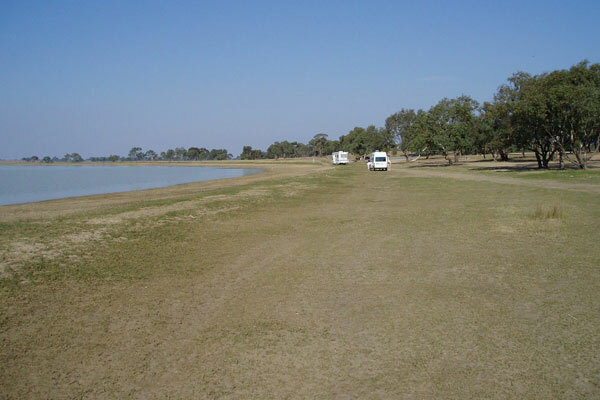 Greens Lake Recreation Reserve is a free camp located just off the Midland Highway, 16km West of Stanhope and 24km East of Elmore. The free camping area has picnic area, tables, plenty of shade, rubbish bins and septic toilets. Greens Lake Recreation Reserve has a boat ramp and for the fishermen, yellowbelly, cod, red fin and carp are regularly caught. It is a popular place in the summer with the local population, and has hosted Victorian Ski Club meetings over a number of years.